Attendees will be able to choose 2 out of 10 sessions from a packed programme of hands-on workshops, demonstrations and conversations with arts organisations and individuals; the overarching focus is on the power and potential of visual storytelling. Many sessions are artist-led and there will be plenty of opportunities for dialogue and connectivity. 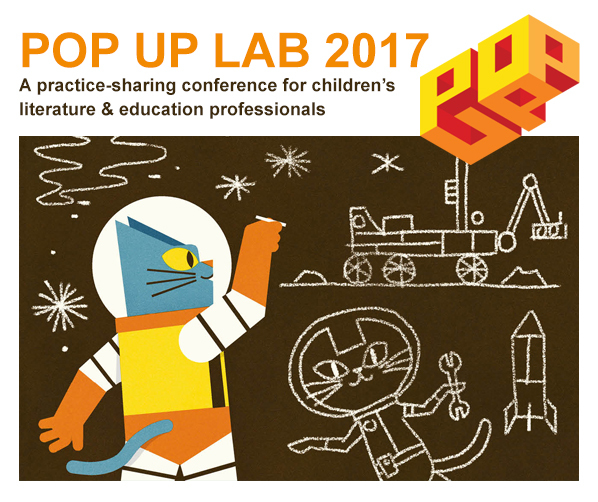 Because Pop Up Lab is a cross-sector space in which to explore and experiment, share practice and learn new things, you do not need to be an expert or practitioner in the field. A full programme is available at www.pop-up.org.uk/lab2017; attendees will be asked to choose two sessions in advance. Pop Up Lab is presented in association with Nobrow & Transbook and supported by Paul Hamlyn Foundation / Arts Council England / Peterborough City Council / Vivacity Peterborough / Creative Europe Programme. Purchasing this product means that your details will be supplied to Pop Up Projects CIC, strictly for event administrative purposes & otherwise contrary to our standard terms. If you would prefer to be invoiced, rather than paying via credit/debit card, please email [email protected].